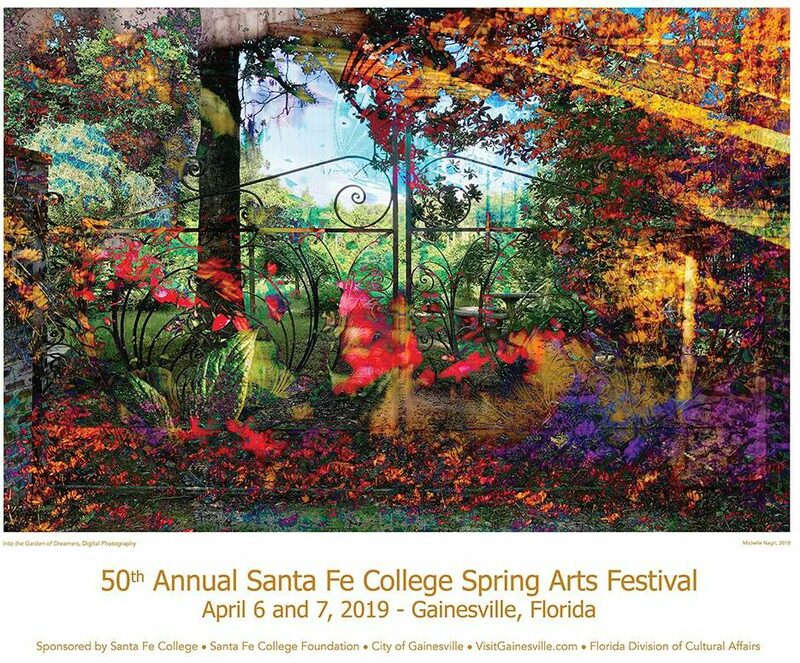 Michelle Nagri, a graduate of Santa Fe College and UF with a background in both photography and psychology, has been chosen as the poster artist for the 50th-anniversary year of the Santa Fe College Spring Arts Festival. The festival is the weekend of April 6-7 along historic Northeast 1st Street in downtown Gainesville. The poster image, titled “Into the Garden of Dreamers,” is based on the style Nagri used for her “365 Project” in which she digitally manipulated one photographic image each day for a full year. 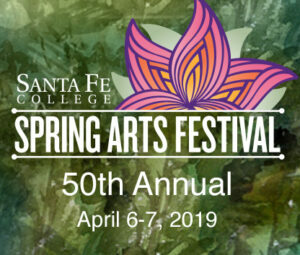 The poster was unveiled Thursday night during a reception for the artist at the Santa Fe College Spring Arts House, 636 NE 1st St.
Michelle Nagri’s “Into the Garden of Dreamers,” chosen as the poster art for the 50th Santa Fe College Spring Arts Festival. Nagri’s interests in both art and psychology date back to her senior year in high school, when she took courses in both subjects. “I got interested in fashion design, but I thought psychology would be a more practical major,” she said. Her interest in photography was sparked by a trip with a friend to Titusville to view a launch of the space shuttle. 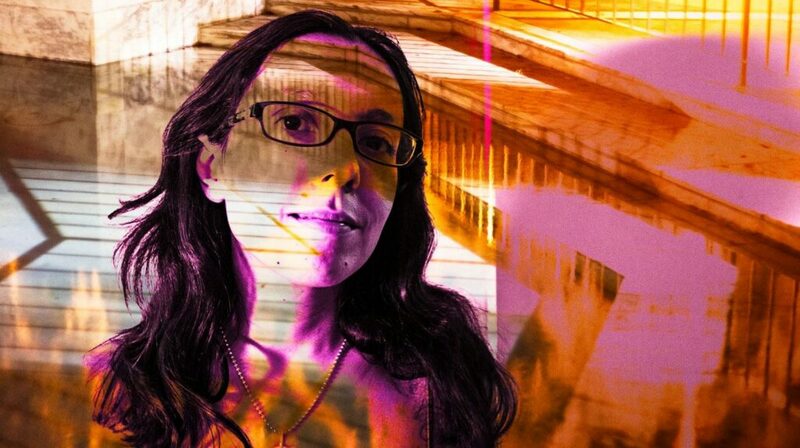 Michelle Nagri, a self-portrait in digital photography. After graduating from UF, Nagri worked as a psychology research associate. In 2010, she began to build her photography portfolio and, in 2014, started selling her work at art shows. In 2015, she took a job as assistant to a local professional photographer and is currently working on building her part-time photography business into a full-time career. In her 365 Project, Nagri took a single unedited photograph and digitally manipulated that same photograph differently everyday for one year. The result was 365 unique pieces of art that blur the boundaries between digital painting and photography. Each day was a new approach, a new vision. Her results will appear in a hardcover book, “The 365 Project,” to be published later this year. One of my goals with photography is to get people to stop and think about what they are looking at and wonder where the image was taken. Nagri makes interesting connections between psychology and her art. “I’d like to help photographers and painters who might feel stuck in their creative process by taking them outside, taking photos together, and inspiring them by exploring how they can incorporate new perspectives into their art,” she said. For sources of her own inspiration, Nagri lists a Renaissance Humanities class and an Ethics class that she took at Santa Fe College. She names the painter Salvador Dali and the photographers Man Ray and Alfred Stieglitz as artistic inspirations. 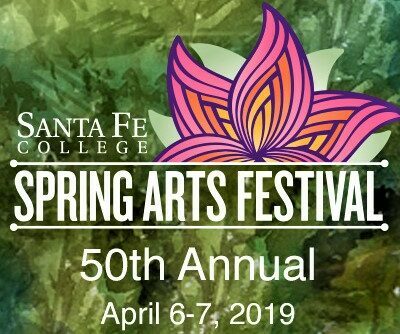 Nagri said she was surprised to be chosen as the Santa Fe College Springs Arts Festival poster artist, calling it a “huge honor,” especially on the show’s 50th anniversary. Copies of Nagri’s 24-inch-by-20-inch poster will be available for purchase at the festival on Saturday, April 6, from 9 a.m.-5:30 p.m. and on Sunday, April 7, from noon-5:00 p.m.
For further info, visit the Santa Fe College Spring Arts Festival website.